When I’m feeling a bit peckish and I don’t want a full-on snack, I’ll often turn to tea. A warm cup of milky earl grey always makes me feel super cozy. And of course proper tea needs to have a tiny nibble on the side. Nothing overindulgent like a slice of cake…no, something handheld, sweet and just right. 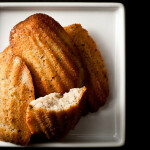 Madeleines are perfect: two bite, golden shell-shaped sponge cakes that taste faintly of butter and vanilla. They’re fantastic on their own, but as Proust will tell you, even better alongside a steaming cup of tea. Typical madeleines are flavoured with vanilla and lemon, but I’ve been meaning to try early grey madeleines for a while, so I gave them a whirl. 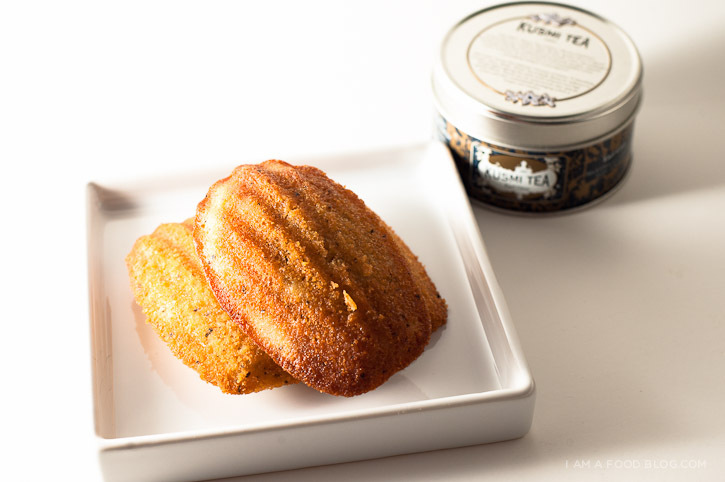 There are quite a few flavoured madeline recipes out there and earl grey is one of the most common. Most of the recipes I found added the earl grey by steeping the tea leaves, but not including them in the batter. 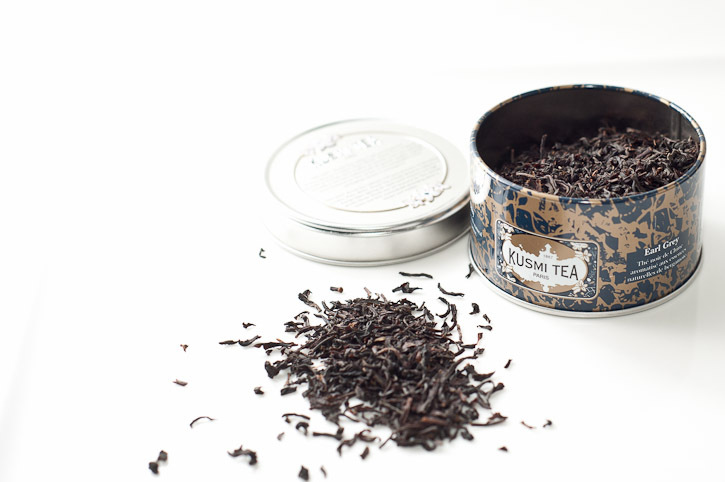 I wanted a more pronounced tea flavour, so steeped the tea leaves and swirled them straight in. The tea-flecked batter was pretty, but I found that the madeleines didn’t have enough earl grey-iness. Nonetheless, they were delicious: tender with slightly crisp browned edges. I am cookie, I am cake: I AM EARL GREY MADELEINE! Melt the butter in a small pot over medium heat. Add the tea and cool to room temperature. While the melted butter is cooling, grease the madeleine pan. Put the egg in the bowl of an electric mixer with a whisk attachment. Whip on high speed until thick – approximately 3 minutes. The egg should double or triple in volume. Continuing to mix on high speed, and slowly add the sugar in a steady stream. Whip for 2 minutes or until mixture is thick. With a spatula, gently mix in the vanilla. Sprinkle the flour on top of the egg batter, and gently fold in. Now fold in the butter mixture, stirring only enough to bring everything together. At this point, I like to refrigerate my batter for a bit. I find it helps with baking. Press saran wrap directly against the batter and refrigerate for at least 30 minutes. Spoon the batter into the flutes, filling each 2/3 -3/4 full. 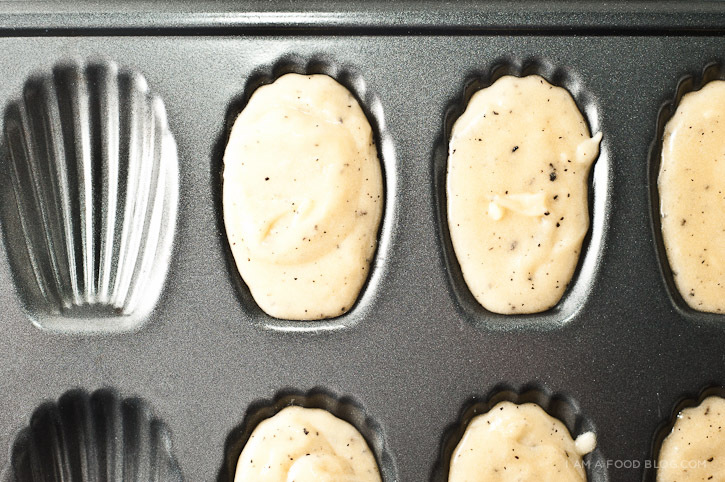 Bake the madeleines for 12 – 14 minutes, or until the edges of the madeleines are golden brown. Remove from oven and unmold immediately. Hi, they seem perfect. I haven’t tried before them. Maybe a bergamot liquor would up the earl grayness? 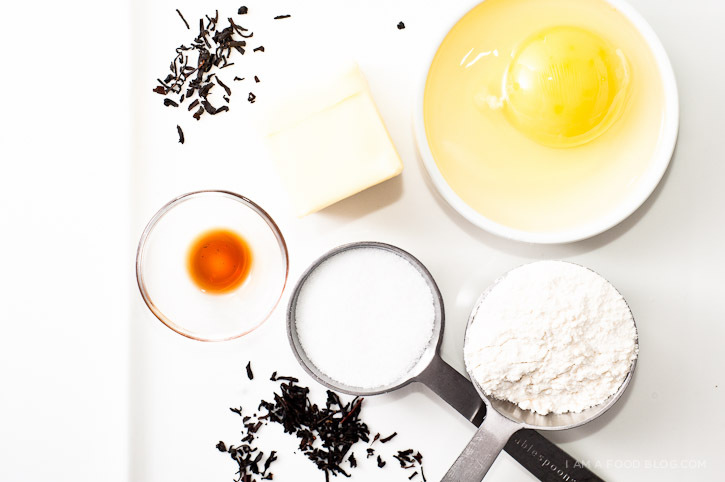 Love adding Earl Grey to baked goods and ice cream! Love your blog, I found it via Design Crush. This recipe I am definitely going to try – thank you for posting it. Oh, one question, what font do you use on your photo(watermark?) Please let me know, I’ve been looking for a skinny & tall print. The “Earl Grey Madelines” is hand-lettered. THIS BLOG IS BLOWING MY MIND!!!! Sounds so good! Need to try this! :) You’ve got yourself a great blog here! Are you sure it’s 6 tablespoons and not teaspoons? Mine came out drowning in butter… I did everything you said to the “tea” pun intended. It’s supposed to be 3 tablespoons. I’ve just corrected it. I’m so sorry!! Hi, what kind of flour should I use? All-purpose? Great post! 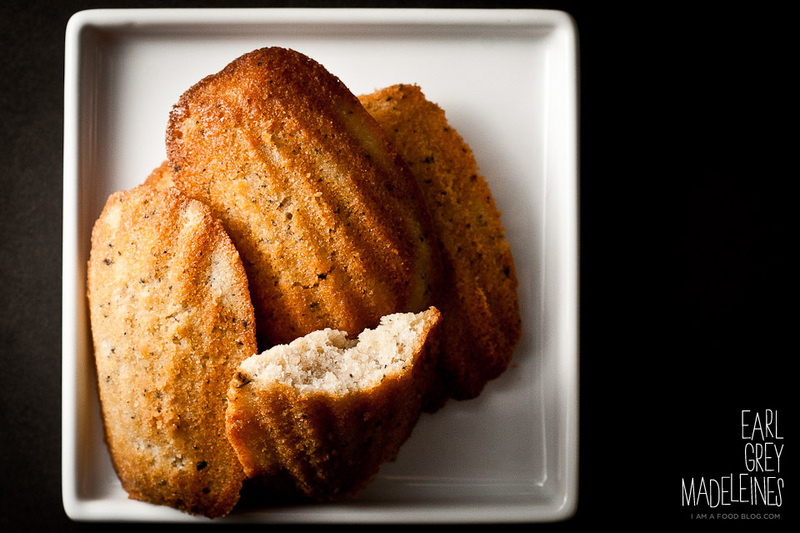 at home we are big fans of madeleines and we are always looking for new recipes to try . Love your blog, greetings from Buenos Aires. Hello, Tried this today with Jasmine Green Tea instead and it turn out wonderful! Love your bakes. Took slightly longer to whip it flufffy but nevertheless, the taste was superb! Looking forward to using sesame seeds instead of earl grey. :) Thank you so much for this recipe!